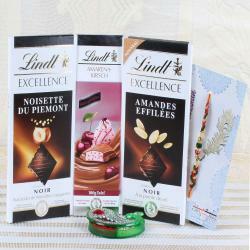 Product Consist: Lindt Excellence Pistache Grillrr Chocolate (Weight: 100 gms), Lindt Hello Chocolate (Weight: 100 gms), Lindt Lindor White Chocolate (Weight: 200 gms), Designer Rakhi along with Roli Chawal Container. Raksha Bandhan is one of the best moments to celebrate the bond of relationship between the sister and brother. Raksha Bandhan is the symbol of the divine and healthy relationship between siblings. 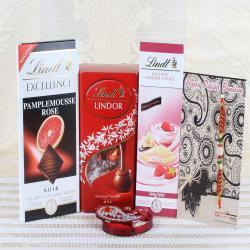 If you like to send marvelous Rakhi hamper for your brother, then you have to go to the best sites. 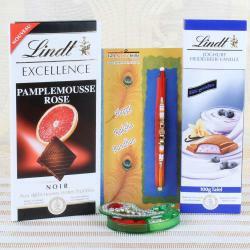 The trusted sites provide the best collection of Rakhi for your brother. Choose the marvelous Rakhi hamper online from reliable sites that you suppose to give to your dearest brother or sisters on this festival. 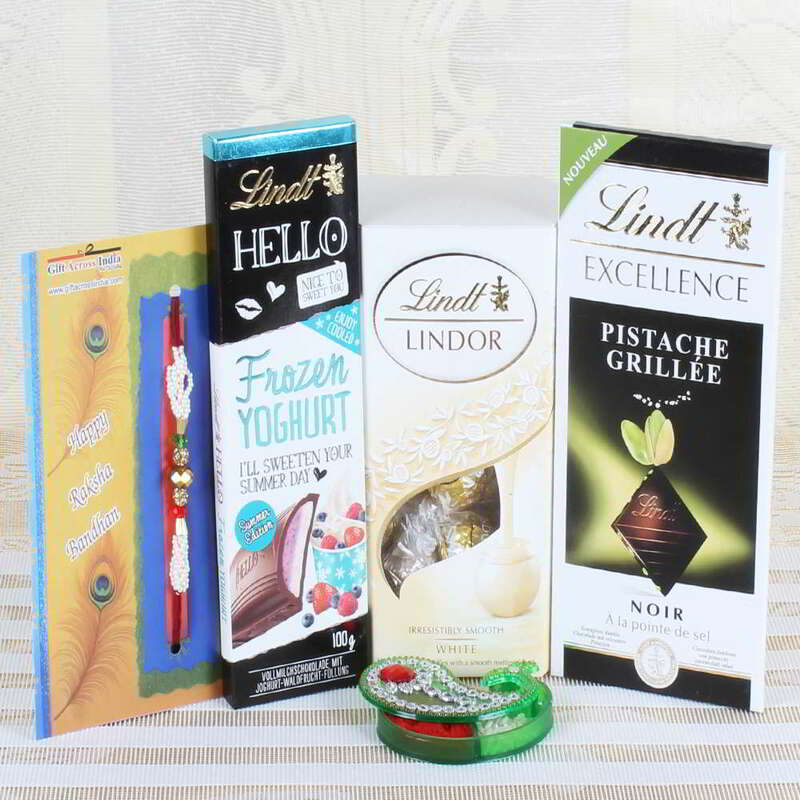 While it is the dry fruit hamper, chocolate hamper, desserts hamper or whatever else, the leading sites help you to provide marvelous Rakhi hampers at best possible rates. 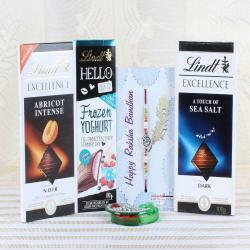 Product Consists of: Lindt Excellence Pistache Grillrr Chocolate (Weight: 100 gms), Lindt Hello Chocolate (Weight: 100 gms), Lindt Lindor White Chocolate (Weight: 200 gms), Designer Rakhi along with Roli Chawal Container.